It happened! 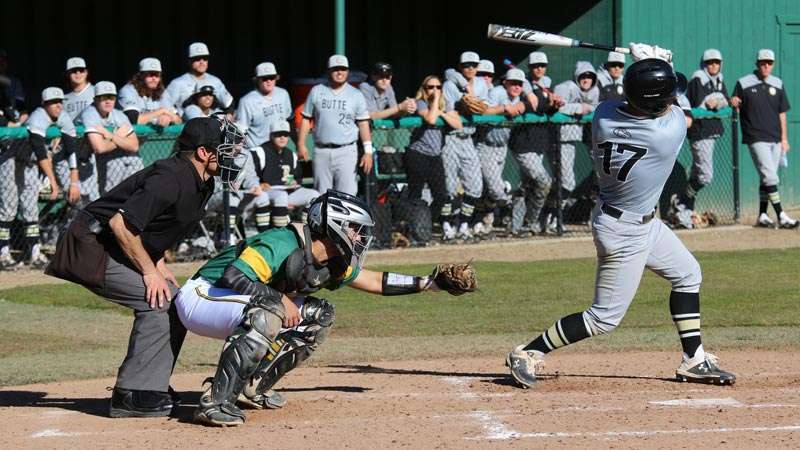 The first home game of the season was played at Feather River College on March 11 as the Eagles took on the Butte Roadrunners under sunny skies. The Eagles made the most of it, winning 7-2. Runs were scored by Michael Boomgaarden (2), Peter Mendazona (2), Jerry Thomas, Braden Del Carlo and Kyle Bettencourt. Thomas hit a triple. Boomgaarden, Mendazona, Cameron Fliege and Bettencourt all hit doubles. Speedy infielder Vinny Zavolta hit two RBIs while Thomas, Mendazona, Fliege and Del Carlo each hit an RBI. Brandon Hernandez managed to steal a base. Pitching for the Eagles were Esteban Sousa for 7.2 innings, and Sebasten Boivin for 1.1 innings. Sosa struck out seven batters of 28 faced and Boivin struck out one of four batters faced. 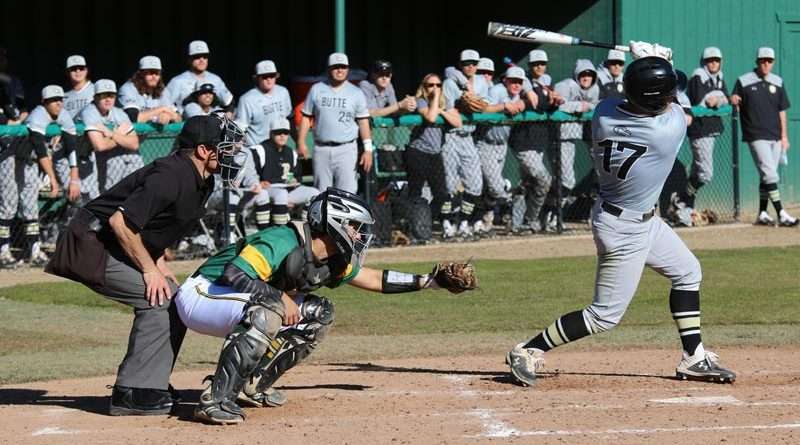 The Eagles were fortunate with the weather and able to host another game at home March 15 facing the Lassen Cougars. With a seven game winning streak heading on to the diamond in Quincy, the FRC Eagles were ready for the game. They won 12-3. 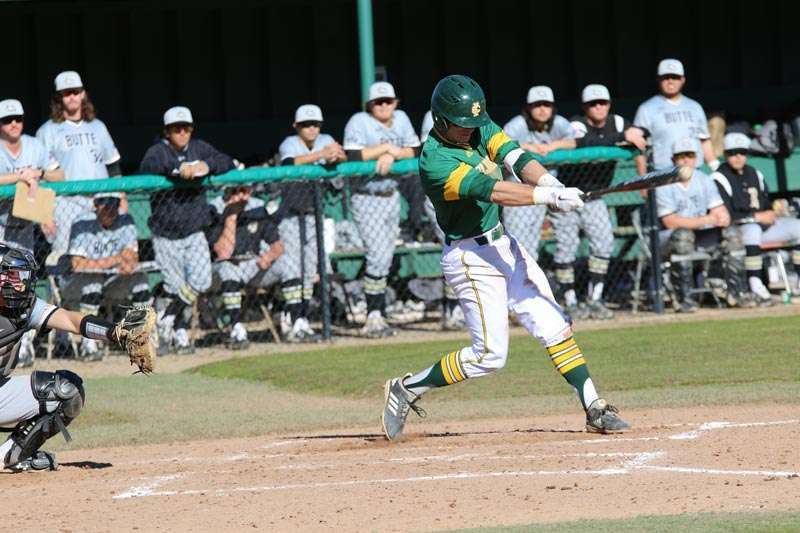 The FRC men were then back on the road taking their game to the Cougar diamond March 16. They won the doubleheader 8-1 and 16-5. That puts the Eagles on a 10-game streak! 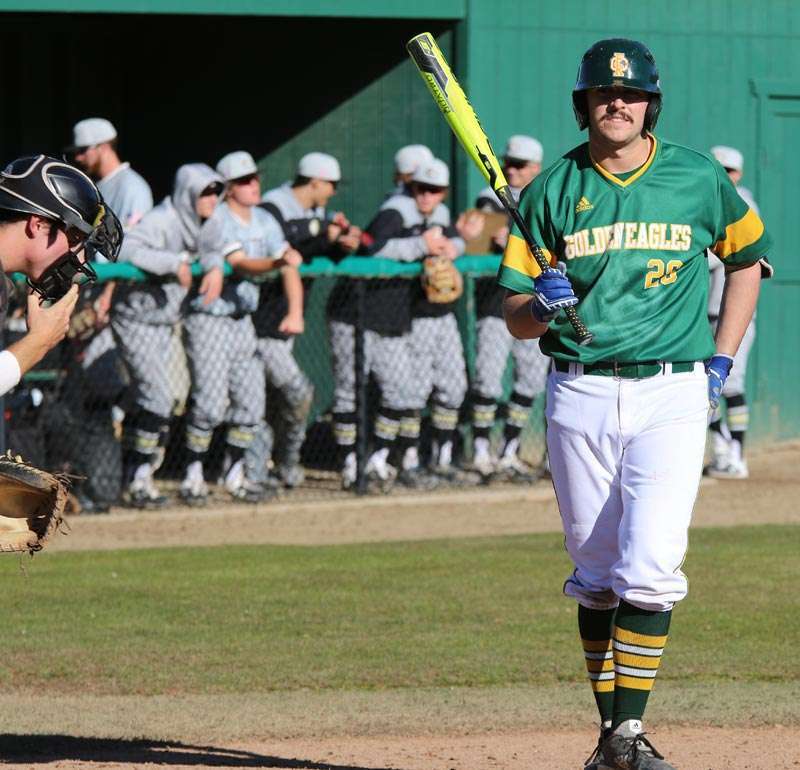 This Friday, March 22, the Eagles will be looking over the diamond at the Siskiyous Eagles in Weed for a three-game series. One game will be played Friday and a doubleheader March 23. 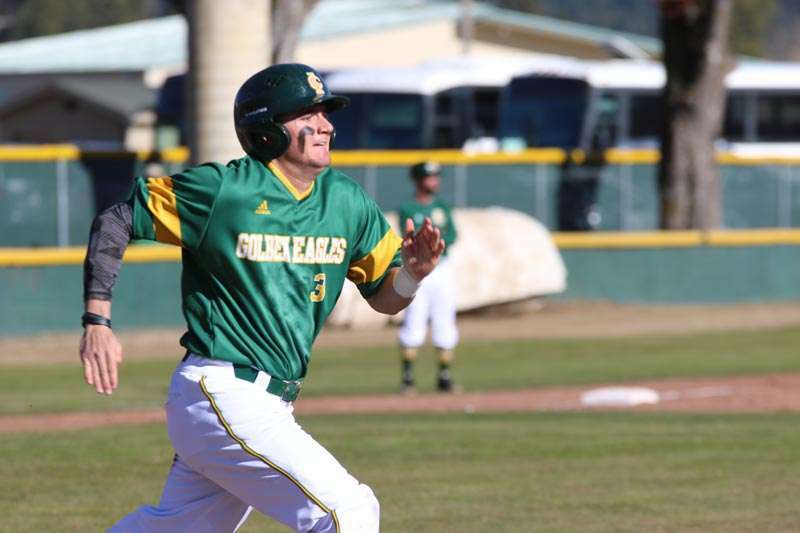 The Eagles will fly over to Shasta for two games with the Knights on March 29 and 30. 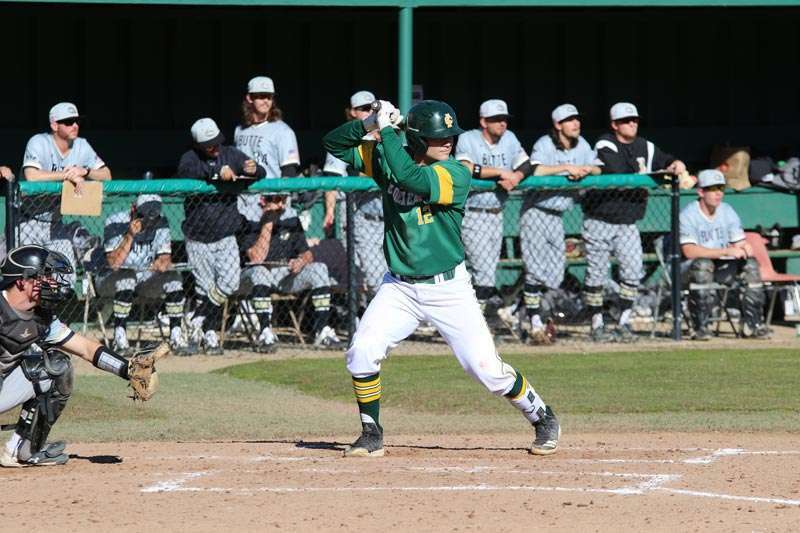 Then it’s back to Quincy for a doubleheader with the Redwood Corsairs on Friday, April 5, at noon and 3 p.m.
Infielder Braden Del Carlo steps up to the plate. 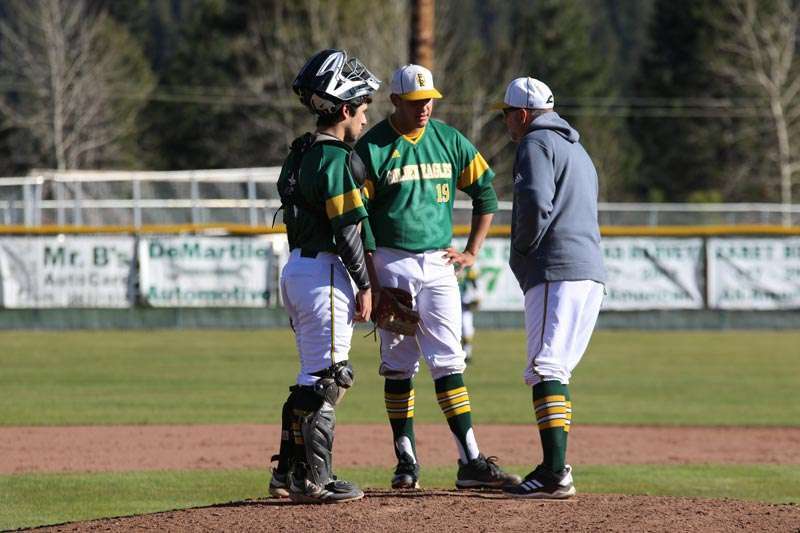 FRC head baseball coach Terry Baumgartener, pitcher Esteban Sosa and catcher Kyle Bettencourt have a pow wow on the mound as the Eagles hang on to the lead over Butte. Cameron Fliege winds up at bat. Jerry Thomas hoofs it down the line to first base. Peter Mendazona makes contact, whack!